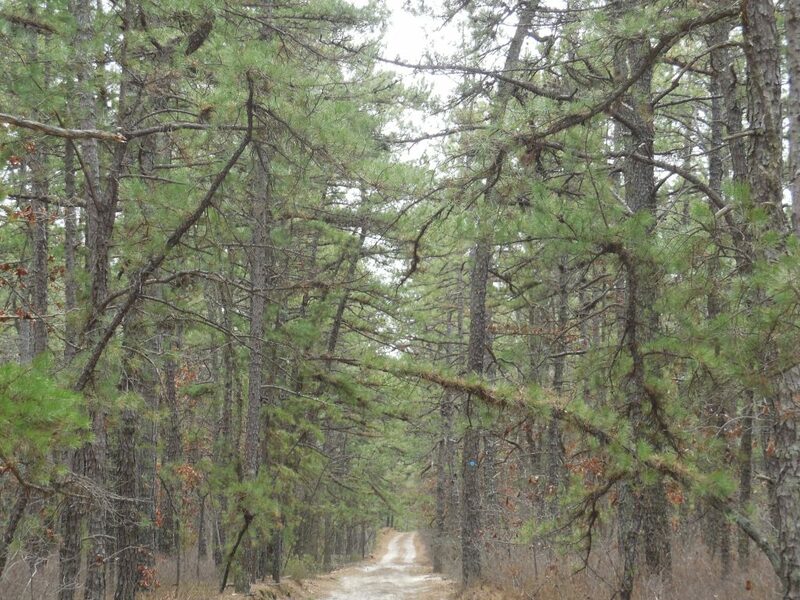 Weaving through seemingly endless pines, the Batona Trail in southern New Jersey provides a rare opportunity for tranquil solitude in a densely populated area. Short for back to nature, the trail traverses several state parks and protected areas, giving hikers an unparalleled Pinelands experience. The scenery is flush with Pitch Pine and Scrub Oak, with intermittent groves of Atlantic White Cedar. 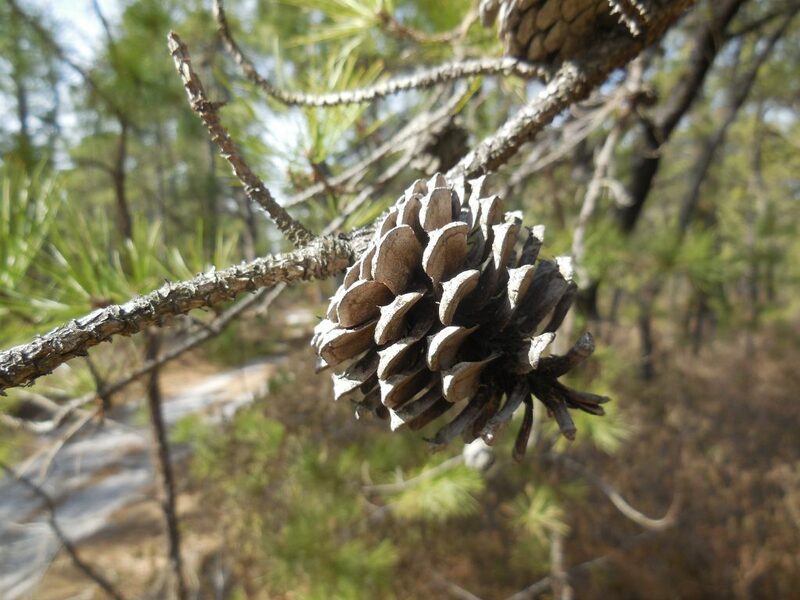 The Pinelands are known for the tea-colored streams and rivers, rich with the tannins of leaves and pine needles left undisturbed for years and quietly flowing past sandy banks. The area has a unique history, and the trail itself connects with several sites, allowing passers-by a glimpse of the Pine Barrens’ interesting and storied past. 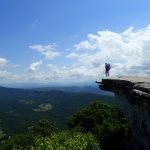 While the Batona Trail is a roughly 50-mile thru-hike and always a multi-day backpack, day hikers and kayakers have ample opportunities, as well. Depending on the season, ticks are common. So, treating your clothing with permethrin and using DEET-based repellents will reduce your risk of tick bites. Checking your clothing regularly throughout the day is also a smart practice. Rattlesnakes can be found on the trail in the summer, as well. Camping should be done in designated areas. So, planning daily trail segments needs to be done with campsite locations in mind. Potable water is located at several campsites, and water from streams can be treated or filtered. 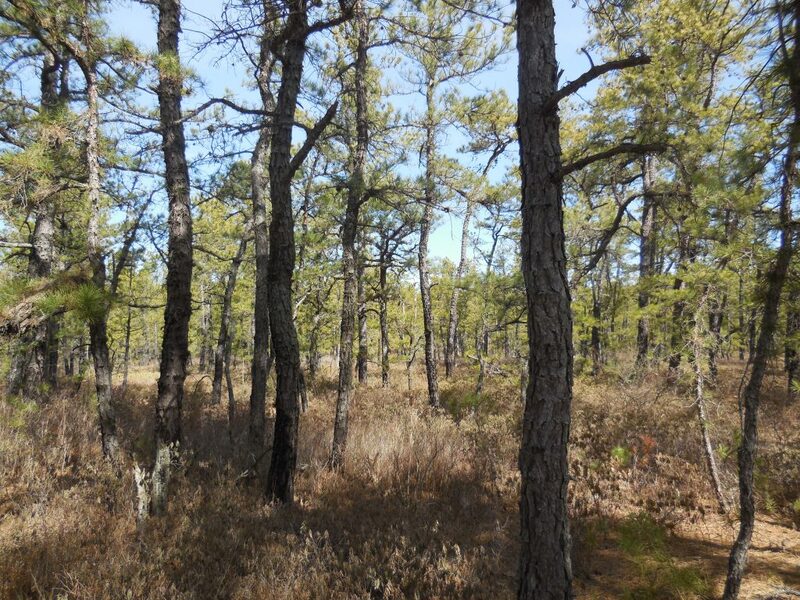 The Pinelands are typically dry and susceptible to forest fires. So, any cooking done away from campground fire rings must be completed with a stove. There are ranger stations at Bass River, Batsto Village, and near Four Mile Circle, but not at the northern terminus of the trail (Ong’s Hat). Maps are available at these locations, as well as online. Keep your eyes out. Though the trail is supposed to be for hikers, occasionally sections may be shared with dirt bikes. 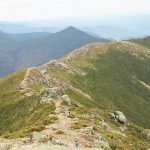 Because of its relatively flat nature, the trail is equally enjoyable whether you start from the Bass River or Ong’s Hat terminus. The more popular and perhaps easier-to-find terminus is at Bass River State Park. The trail is clearly marked with pink blazes, and a road crosses in several places, allowing for early exits in case of an emergency. Bass River immediately immerses you in the heart of the Pinelands, where you quickly leave behind the state’s bustle for the serenity of the forest. From the start, the trail follows an embankment. These are relatively common and used by cranberry farmers to direct water. The hard-packed sand surface remains consistent for nearly the trail’s entirety. Buttonwood Hill Camp is approximately 15 miles from the start. Getting there makes for an ideal first day, and it sets up an exciting second day. Leaving Buttonwood Hill and hiking for 3.5 miles, backpackers have the option to head down a short spur trail to visit Batsto Village. This site has preserved the history of the iron ore and glass-blowing industries that defined the Pineland’s economy from the colonial period through the late 19th century. The visitor’s center also provides information on the region’s unique ecological features. 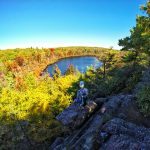 After leaving the village, the trail follows along Batsto Lake and Batsto River, though views of either are few and far between. The section from this point to Lower Forge Camp is one of the lowest in elevation. As such, you’ll find swaths of Atlantic Cedar swamps, which break up the nearly constant “highland” Pitch Pine and Oak. 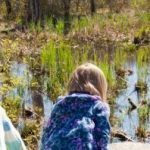 Depending on the time you spend at Batsto, Lower Forge Camp and Batona Camp are both practical options for camping. Lower Forge is 10 miles from Buttonwood Hill, and Batona is 15. As well, Lower Forge is situated on a creek, while Batona has a potable water well. The Carranza Memorial is located close to Batona Camp and makes for an interesting short stop. Emilio Carranza, the “Lindberg of Mexico,” was a famed long-distance pilot in the 1920s who crashed in the Pinelands. From Batona Camp, the trail passes through swamps before rising to Tea Time Hill, a rare and easily noticeable elevation gain. Then, you continue on to its highest point, Apple Pie Hill, which hosts a fire tower that is still in use. This spot has visitor parking, and other than Batsto Village, this will be the trail’s most populated location. The views are delightful, so stop to take in just how expansive the Pine Barrens are. The trail then descends from the hilltop and passes along several cranberry bogs. Depending on the time of year, the embankments may be flooded. Here, waterproof boots may be helpful. The last camp along the trail, Brendan T. Byrne Camp, is roughly 10 miles from Batona Camp, and is another 10 miles from the end. You will likely see day-hikers between Byrne and Four Mile Circle, but the last section to Ong’s Hat is much less traveled. 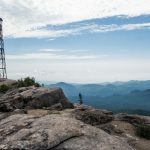 Other than the obvious sense of accomplishment that accompanies completing a multi-day trek, hikers have the added satisfaction of being in a place called Ong’s Hat. This location was apparently named for a man, Ong, whose hat got stuck high on a pine branch. Be warned: With few services available, Ong’s Hat is virtually a ghost town. 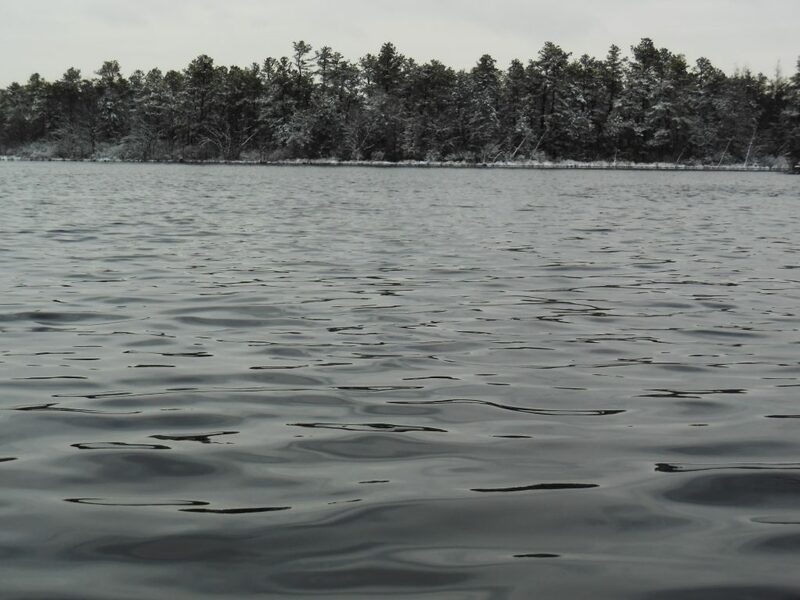 No other ecosystem like the Pine Barrens exists in the Northeast. As you hike, you’ll discover it’s home to several endemic plant and animal species that can’t be found anywhere else. Originally hailing from New Jersey, Joe’s adoration for the outdoors was born during time spent in the badlands of North Dakota. The cold, windy, and desolate clay landscape set backcountry passions ablaze. Once ignited, wanderlust brought him to wild areas throughout the states before settling down in Alaska for several years. 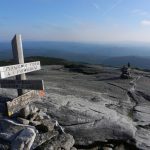 After backpacking and kayaking in the rugged north country, Joe bid farewell to his neighborhood bears and moose, drove back East, and calls the Philadelphia area home. He now dabbles in bicycle commuting, though kayak touring, backpacking, and trail running are his perennial favorites.